The re-branding of the number #1 sport energy brand is happening. 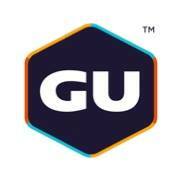 In 1993 GU was born as a solution to the real challenges faced by Laura Vaughan who needed easy to digest and compact energy for ultra endurance training and racing. Over twenty some years, we have grown into an energy gel and performance nutrition leader that truly cares about our community of athletes and our impact on the planet. At the dawn of 2015, we aim to be known for our passionate commitment to sport, as leaders in all forms of performance nutrition, as well as the source for nutrition planning and training expertise. Our bold new logo, clarified product naming and creative look and feel is engineered to express more fully who we are today, who we aim to be tomorrow and allow athletes to easily combine our products into superior nutrition plans.